I think in fall you will find the Smallmouth going deep. We were on Namakan last week and found Bass at all depths. Three of us were fishing Walleyes and constantly were pestered by Bass taking our live bait rigs. We measured many Bass in the 16" to 20" range. 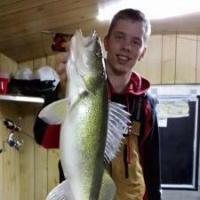 The walleye fishing was darn good too. Heading back Monday for a week can give you another report if you like. I am not Bass fishing but usually find them with the walleye this time of year. Fall is the best time for smallmouth! October is my favorite month on Rainy. But I have my best luck a little deeper than you mentioned. Check humps that have lots of 20-25 FOW on top and you may hit a jackpot. 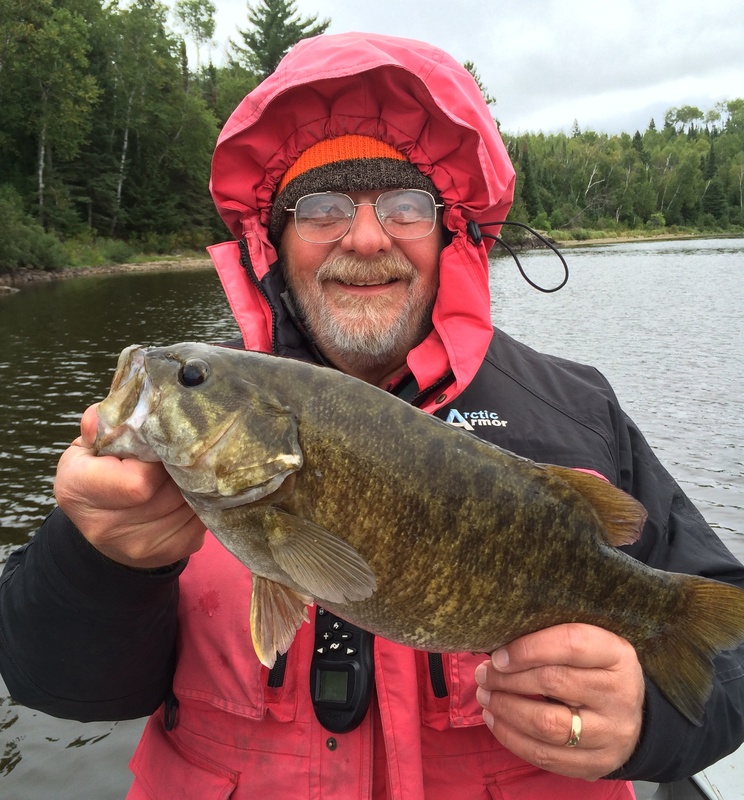 There is a reason Minnesota has a catch & release only season for smallmouth in Fall. They really school up, and once you find a hump they like, it can be loaded. Some fish hogs were keeping them and hurting the bass fishing on several lakes so the state put in the rule protecting them once the water starts to cool down. I never use live bait for bass but if you must, please use a circle hook to avoid gut hooking them. Bass have always been hard for me to mark on sonar. But once you hook one, try to reel it up under your transducer. If you are in a good spot you might see this. Half the school will chase the hooked one! Thank you guys for the responses. It seems like I'll need to be willing to fish the deeper humps. Around here we do a lot of ledge fishing. But most of the ledges have tops that are about 10' of water and drop down to 20 or so. There are some guys that do deeper ledge fishing but I've never been one of them. But I'm always willing to learn. You were talking about humps with tops that are about 25'. Will the fish just be milling around on the top or will they be sitting right at the edge where it drops off? Also, I'm definitely an artificial lure guy. No live bait. If I'm gonna be going this deep what should I be using for smallies? I'm thinking jigs, heavier tubes and even spoons. Any thought. BTW, those are some really cool sonar pics you posted, Capt. Yes to all three lures that you mentioned. 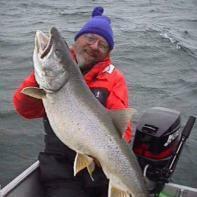 You can go to my thread on Rainy Lake and review pictures from previous Fall trips to see what I use. My favorite humps top off around 10 feet. The fish are rarely there in October, but when they are, you get bit every cast. Normally they are around 20 FOW on secondary humps, or at that depth on the edge. They often suspend at around 20 FOW away from the hump but tough to find them there and they don't stay put for long. Trolling deep running cranks will help locate them when suspended. 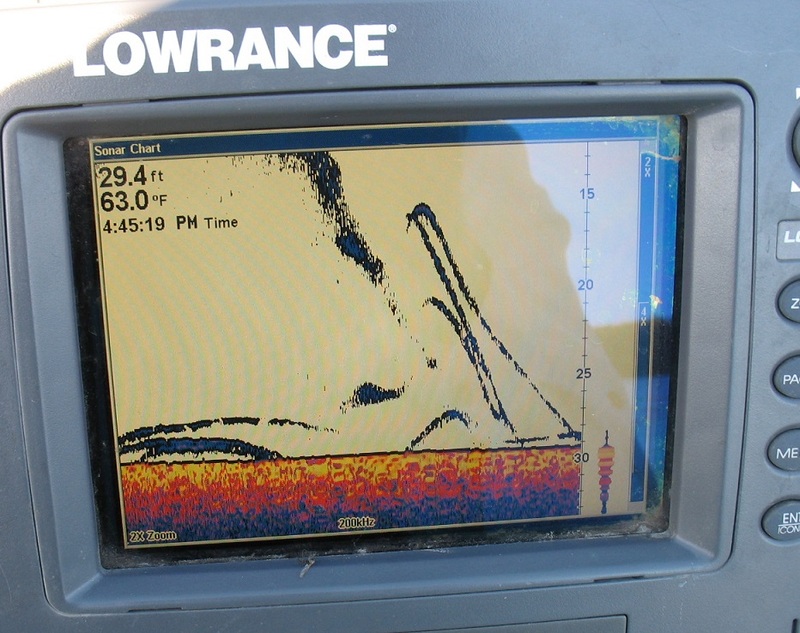 While I rarely mark bass with sonar, I will mark bait and then spend more time in that area. When you find a good bass hump, you hardly catch any walleyes. Probably 25 to one ratio.Mean smallies run off those bottom feeders! Dress warm! The colder it gets, the fatter the fish. Thanks for the link to your fishing reports thread. That was some interesting reading. Especially for a bass guy like myself that has become addicted to smallie fishing those lakes up there. I was able to read 10 years of reports in a few hours. It was great. I've been going up to Crane Lake in May for about 6 years now. I usually try and spend two weeks up there. I went up there the first time and really liked the people at the resort I stay at and the fishing. So I have just kind of made that place my annual fishing vacation location. I primarily fish the Canadian side of Namakan and am pretty much the only smallmouth fisherman there. I've fished Rainy once and it seems that Namakan has a lot of the same structure, just on a smaller scale than Rainy. So the type of fishing you're talking about should translate to that body of water...I hope. Having said all that, I really should get back up and try Rainy. I hear nothing but great things about it. I was wondering if and there is any good fishing in Hastings during the summertime lake Rebecca, lake Isabella, Vermilion River, or anywhere off the banks of the Mississippi? I haven't caught anything yet this year and I am itching to catch anything now. Just a fyi I just bank fish.